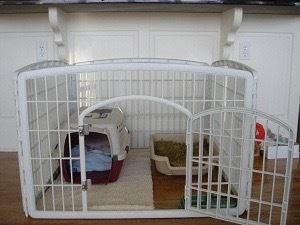 Today i thought i would share why i “kennel” my pups, when the pups use it, and what is in it. I get questions about this all the time, so i thought it would be a blog worthy subject. So lets get digging! I call it a Safety Spot which is a safe place for my pups to go to when they are feeling a bit overwhelmed. Like a kennel its enclose and can be opened and close whenever. This allows the pups to have time to themselves and when they enter this spot everyone knows not to bug them and when they are ready they will come back out and socialize. 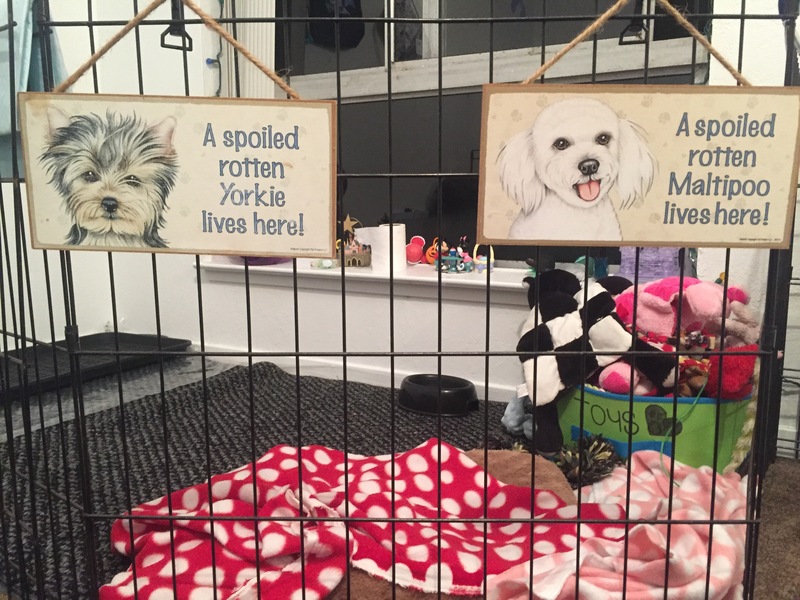 This area is a carpeted place with their pee pad, toys, water bowl, beds and blankets. They always go in and out because this is where they go to the bathroom, and drink. The only time i close the door is when i go to the grocery store, but they have plenty of room to run and play if they wanted to. 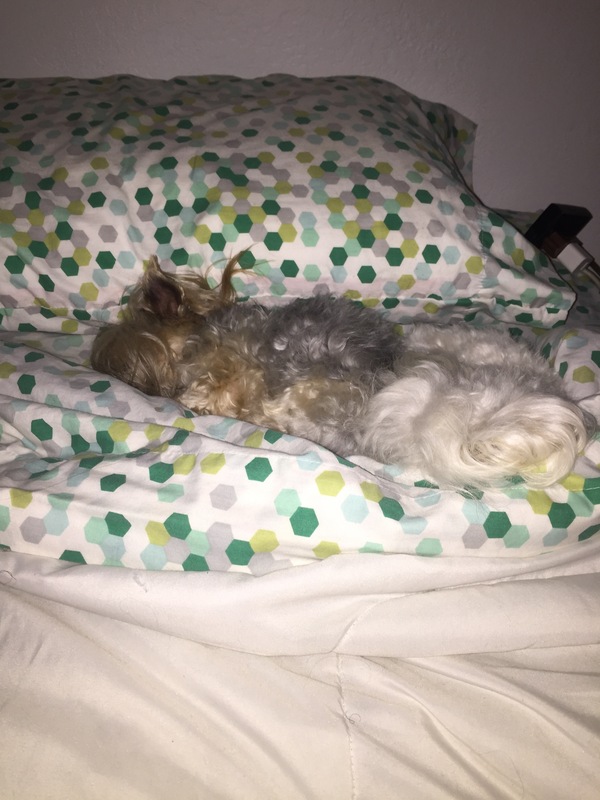 My pups don’t sleep in here over night, they sleep in my bed with me. This is something that works for me and my pups and I’m not saying you have to have one, this is just something that works for us, i thought i would share because we get asked about it all the time. What do you guys do with your pups? Do you have a safety spot? let me know in the comments below.